Check out the progress from the Chicago Dice team every week with WIP Wednesday! This week was dedicated to putting some time in to completing my Necron Ghost Ark that came with the Warriors. The box sets that have a vehicle and unit in them are great deals! Also I couldn’t help myself and had to take a peek at my Dark Imperium box. Those models are amazing and I love the Primaris sculpts. I’m thinking maybe a certain wolf-like group of space marines for the color scheme. 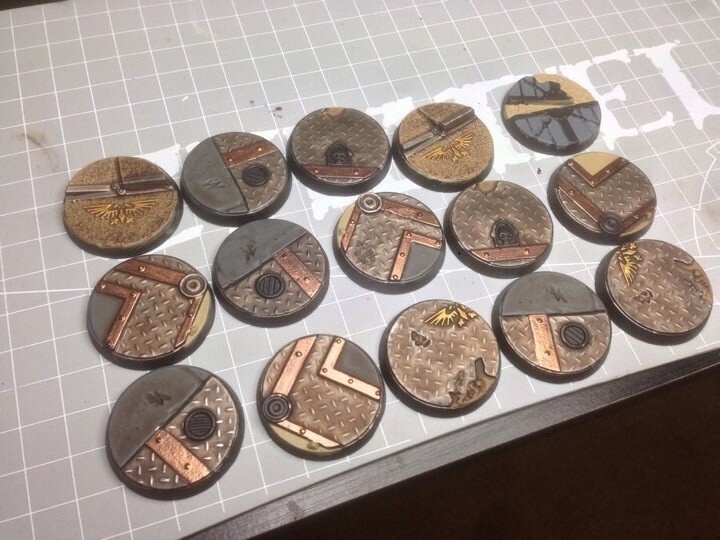 I haven’t had a ton of hobby time in the past week, but I did put some work in on the Sector Imperialis bases that I’ve been working on for my Black Templar Crusader squads. The first batch is getting pretty close to done, a couple more things to work on and they’ll be ready for models! I moved to a new apartment over the weekend and have not done any hobby this week. 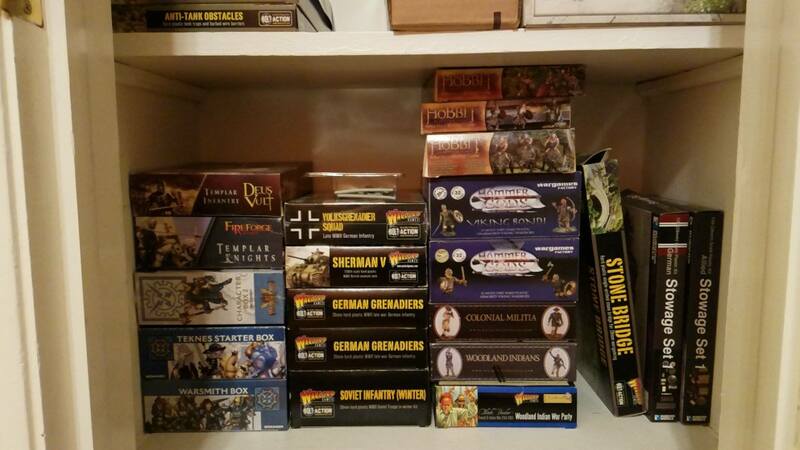 But, I did get my hobby desk all set and my stack of hobby projects organized so I will be able to move quickly into production next week. After over a year of painting black and silver marines I decided it was time for a change in color scheme. I have always liked the fluff for the Imperial Fists and yellow was an interesting challenge for me to take my time with and get right. 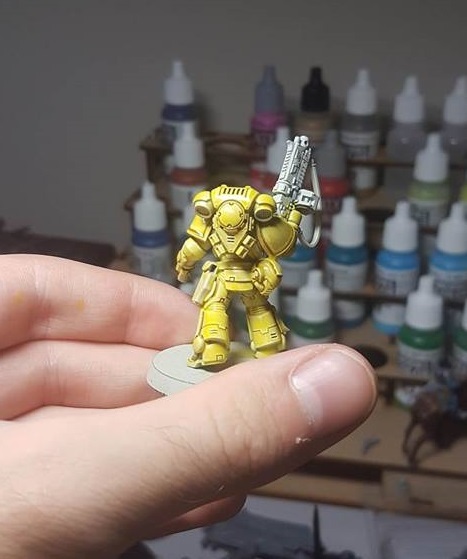 This is the first (mostly) complete Primaris Lieutenant with the Lamenters Yellow glaze method.